When it comes to affording a home, it’s essential to tackle one thing well ahead of time: the down payment. Long before you start searching real estate listings in earnest, take concrete steps to put funds aside. That way, you’ll be ready when the time comes to write the down payment check for your new home. • First, set a goal. Decide on an amount of money you intend to save and when you’ll need to have it ready. Figure out what that means per week, month or year. Even a modest down payment can be more money than many first-time buyers have ever put together. The median down payment for first-time buyers is around 7 percent. On a $200,000 house price, that comes to $14,000, or saving $1,167 each month for a year. So, for most people, accumulating that down payment would be a multi-year project. • Then, track your progress. Once you set your goal and timeframe, post it on a chart where you track your progress. Check regularly to see how you’re doing. Pat yourself on the back for progress, but also note how much you have left and prod yourself to keep it up – and maybe dig deeper. • Put your savings where it’s not in the mix of your regular spending money. A separate savings account specifically for the down payment can earn a little interest and keep the principal safe and government-guaranteed. • Cut back on frequent small luxuries like coffee shop drinks. Small steps like this can be a good starting point for an overall strategy to build your down payment capital. • Make sure that savings go toward the down payment and don’t trickle out unnoticed on other incidental expenses or an impulse purchase. For example, if you cut a daily $5 coffee expense, then every Sunday, transfer $35 to your separate down payment savings account. • Analyze spending. Consider setting a budget for clothing or eating out. Check your credit card or bank withdrawals to get an idea of how much you spend eating out each month, then decide how much you’ll cut back and bank the savings. • Set up an automatic payday transfer. Choose an amount you can afford and have your bank automatically send that to your down payment savings account as soon as your paycheck arrives. • Use a cash rewards credit card. Wait for the rewards to reach maximum dollars per point before you cash in and put the money in your down payment account. Beware of the temptation to justify spending more with the card because of the rewards. • Bank any windfalls (tax refunds, bonuses on the job, or cash gifts). If you get a significant cash gift, you’re likely to need a letter for your mortgage lender confirming it’s a gift and not a loan. l Consider moonlighting. Perhaps you could babysit, walk dogs, do yard work, or even take a part-time job for a few hours a week, and then stow those checks directly in your down payment account. 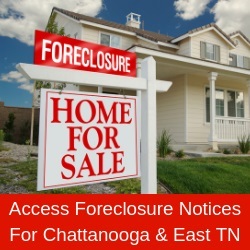 For a list of home-buying and financial professionals in the Chattanooga area, visit the Home Builders Association of Greater Chattanooga at www.HBAGC.net.